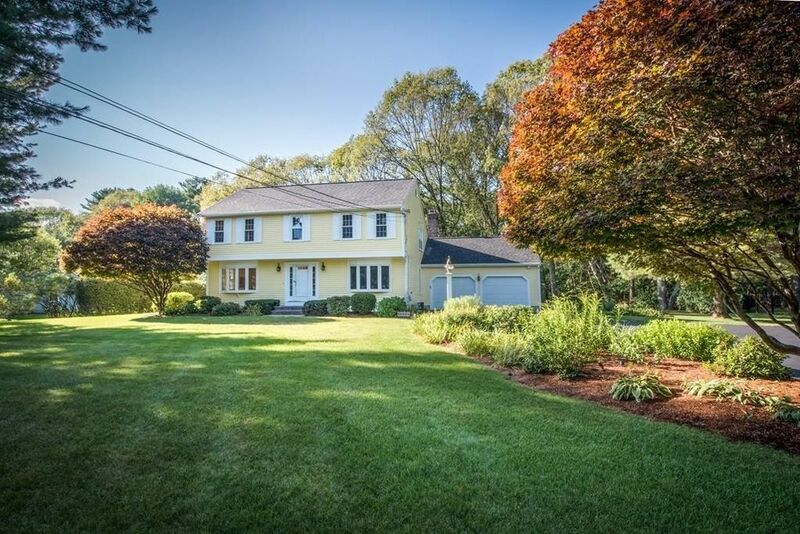 This Pristine and bright Colonial is an absolute gem! Beautifully sited and meticulously maintained this property is surrounded by perennial gardens and lush landscaping. Every room is flooded with natural sun- light. So many new updates including new granite counter-tops and hardwood floors in kitchen, new carpet upstairs, new roof and newly paved drive, interior/exterior recently painted. Entire first floor allows for easy living with open floor plan, large brick floor to ceiling fireplace in family room that enters into the three season sunroom off the back of the house. Upper-level bedrooms are moderately sized and offer two full baths. This home is so warm and comfortable...even more great space in the finished lower level with options for home office or playroom. Walking distance to The Historic Wayside Inn Sudbury. Directions: Nixon or Wayside to Parmenter. Or route 20 to Wayside to Parmenter.